Sari is one Indian garment which provides ample room for experimenting. If you break the monotony and move away from traditional drape adding a belt to your saree look can help in modernizing the saree. I have already discussed some new exciting ways to drape the sari but today in this post I will be discussing about ways to add a belt to your saree for a modern saree look. Wearing waist belts with saree isnt a new trend . Saree waist belt chains also known as kamarbands have been a part of our ethic saree drapes for ages. These saree waist chains help flaunt your waist and give it a very traditional look but if you want a modern look you need to get innovative and try new belt styles. Leather belts, metallic belts, fabric belts, embellished belts all look great when styled right with sarees and can help you achieve a modern statement saree look . Belted saree look is edgy and gives indo- western vibe . If you are looking for an outfit option which is traditional with a hint of contemporary go for a statement belted saree look. 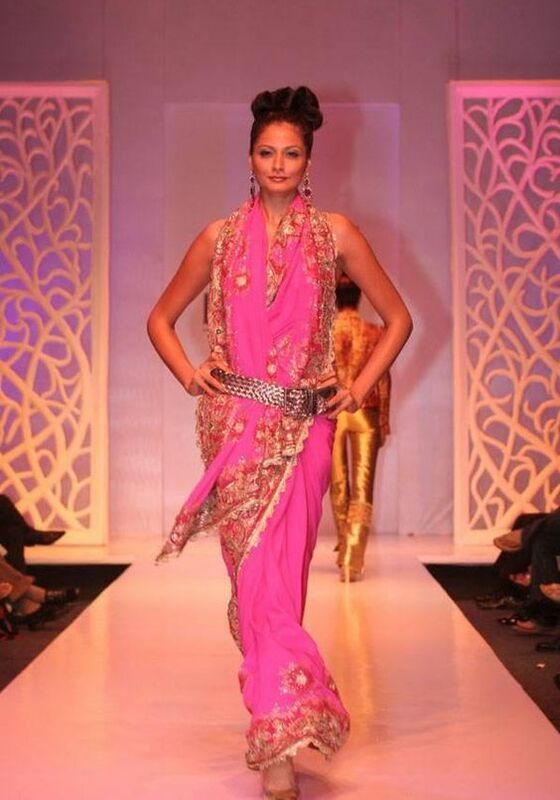 Adding a normal belt to your frontal drape saree is the easiest way to get the belted saree look. You dont have to experiment much here and a normal saree with a thin leather or metallic belt can do the trick. A longer blouse with no waist exposure give you a more elegant and traditional look and if you got a normal sized saree blouse it can turn out to be edgy and modern. Capes are a rage these days and adding them to simple sarees gives a very classy look. Add oomph to your simple plain saree looks with a belt. Go for glitzy belts to up glam factor or add a tan belt for edgy saree look. 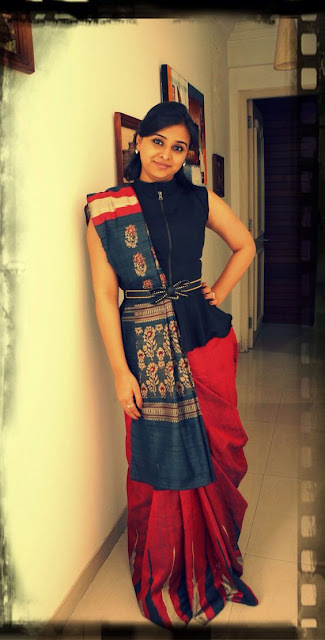 If you are someone who experiments with different saree drapes then try the dhoti drape and add a belt to keep pleats in place. For the traditional saree look add an ethnic kamarband . The kamarband is a bridal accesory but you can wear it as a wedding guest too if your waist chain isnt too elaborate. 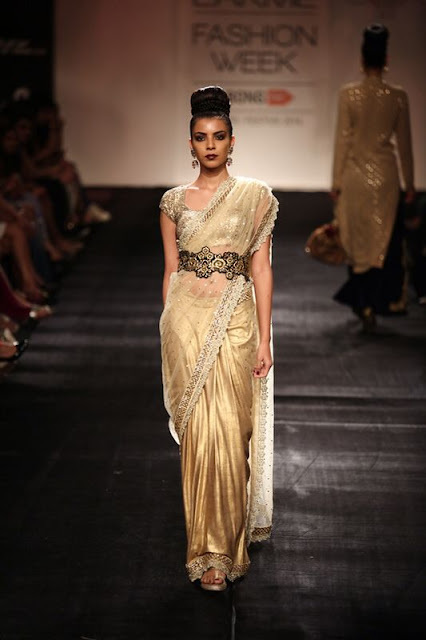 Would you add a belt to your saree look?